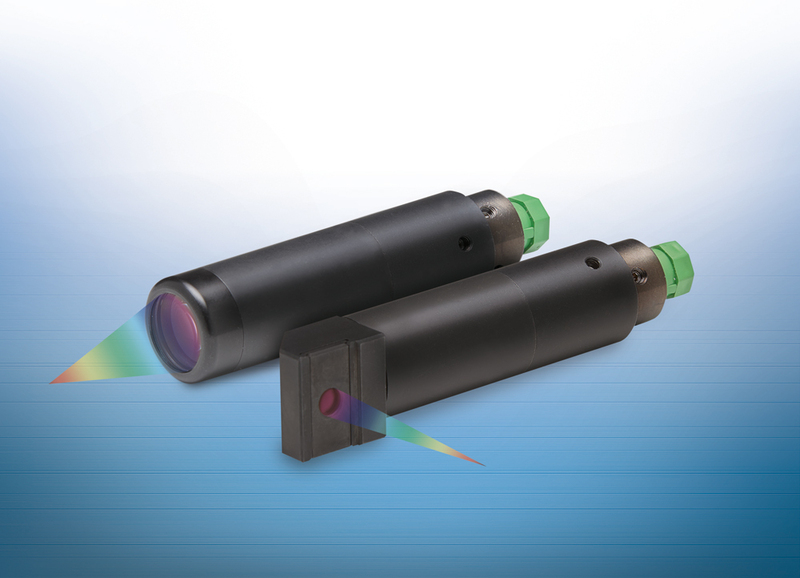 The confocal chromatic sensors from Micro-Epsilon are non-contact, maintenance-free, provide long-term stability and so are ideal for high precision measurement applications. The confocalDT from Micro-Epsilon includes the fastest controller currently available in the world and achieves measurement rates of 10kHz using an LED light source and 70kHz using a Xenon light source. It provides high precision measurement results in displacement and distance measurement tasks, as well as thickness measurement of transparent objects. A wide range of sensors and various interface options such as Ethernet, EtherCAT, RS422 and analog output open versatile fields of application. The IFS2406 sensors are specially designed for vacuum applications. These models stand out due to their compact size, submicrometer accuracy and a small measurement spot size. Due to its axial and radial measuring directions, the sensor models are extremely versatile in terms of their use. Due to their passive design they can even be used in Ex areas. The measurement channel is parameterized via a comfortable web interface which makes it unnecessary to install a separate measurement software. As well as distance measurements on reflecting or transparent surfaces, these sensors can also be applied in one-sided thickness measurement of transparent film, plates or layers. Typical fields of application include displays and glass production, medical engineering and research and development.